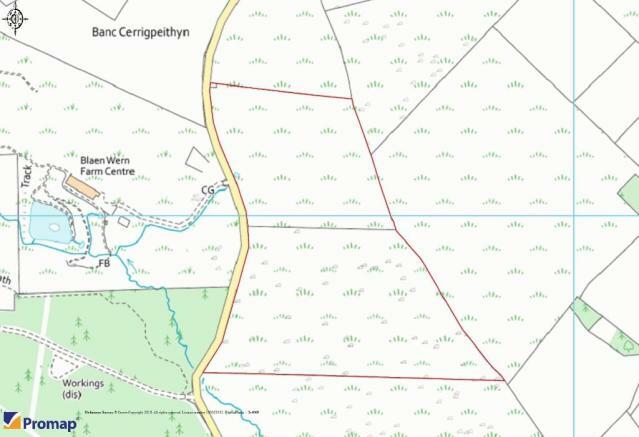 The land lies alongside a minor district road leading in off the B4337 Llanybydder to Llansawel Road leading through to the village of Pencarreg. The property is approximately 3.5 miles from the popular market village of Llanybydder which provides various retail outlets, primary education, doctors surgery and livestock market. The university town of Lampeter is approximately 7 miles. The land provides approximately 33.16 acres of permanent pasture mountain land suitable for livestock grazing. Lying approximately 1000 feet above sea level, the land is sloping in nature and benefits from views over the surrounding countryside. The parcel of land is boundary fenced and stock proof. Adjacent to the roadside, there is a small livestock gathering pen. There is a natural water supply on the land. The land lies within a designated area suited for the development of renewable wind energy technology. To date, the vendor has not entered into any agreements with any development organisations. Subject to negotiations, the vendor would consider entering into an agreement for a renewable wind energy development should an interested party wish to lease the land. The vendor reserved the right to include an overage clause within the sale contract for any such proposed development which would run for a period of 30 years from the date of completion. 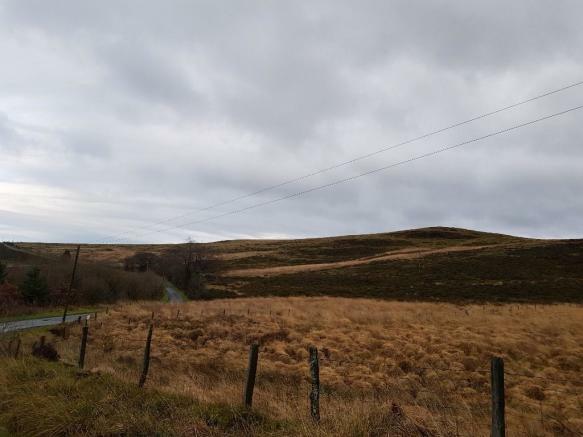 The land is currently registered with Rural Payments Wales and Basic Payment Scheme is currently claimed. Prospective purchasers are to satisfy themselves for future eligibility. We are verbally advised that a 3 phase electricity supply runs along the minor road adjacent to the land. Natural water resources lie on the land. From the A485 road in the centre of Llanybydder, turn on the square on to the B4337 for Rhydcymerau/Llansawel. Carry on for approximately 2.5 miles up the hill and after passing the left hand side entrance of the Alltymynydd Nursing Home, you will come to a minor crossroads. Turn left at the crossroads and go up the hill. You will go along a straight stretch and a lay-by will be seen on the left hand side and the vendors will take you to the land's gateway. There is a discrepancy with the area as we understand the Basic Payment Scheme payment is made on 40 acres. All interested parties should make their own enquiries with regard to the boundaries and area. Disclaimer - Property reference T214. The information displayed about this property comprises a property advertisement. Rightmove.co.uk makes no warranty as to the accuracy or completeness of the advertisement or any linked or associated information, and Rightmove has no control over the content. This property advertisement does not constitute property particulars. The information is provided and maintained by Nock Deighton, Agricultural LLP. Please contact the selling agent or developer directly to obtain any information which may be available under the terms of The Energy Performance of Buildings (Certificates and Inspections) (England and Wales) Regulations 2007 or the Home Report if in relation to a residential property in Scotland.